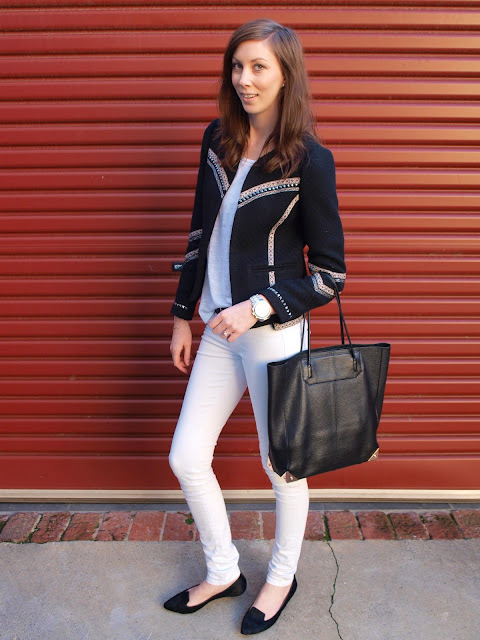 My favourite winter statement jacket at the moment, this jacket has it all! The ribbon detailing is so flattering and gives the jacket such a nice shape. Best to let the jacket do the talking so kept the rest of my outfit all white. I have become quite partial to a white on white combo…always find its best to have a belt to break it up though.